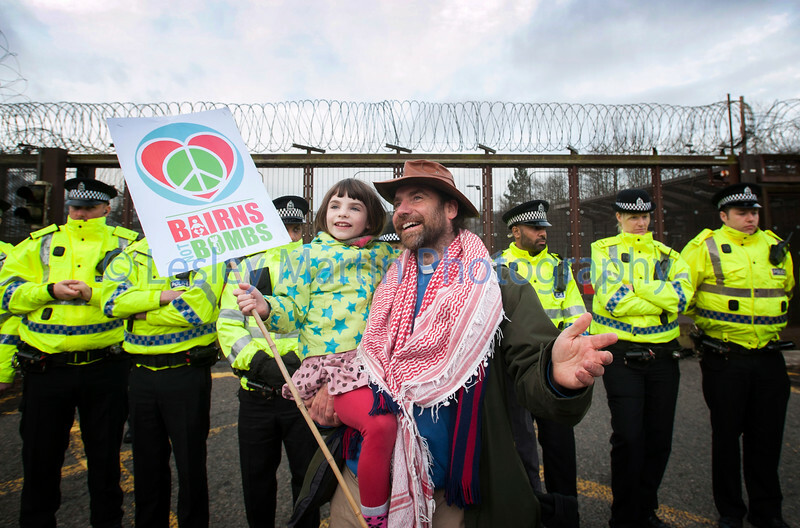 Early on Monday morning, 13 April 2015, hundreds of protesters across Scotland created a blockade at the HM Naval Base Clyde, Faslane, Scotland, which is the UK base for Trident. Many protesters locked themselves together to block access to roads and stop staff and military officials from getting to work. The 'Scrap Trident' blockade was organised by a coalition of 15 peace, political and pro independence groups. With just three weeks before the General Election Trident is at the forefront of political debate and many have called for the UK to scrap its nuclear deterrent.